Our Hector track frame was developed for use with the Gates Carbon Drive System and engineered for uncompromising performance. Our design included the traditional 120 mm rear dropout width for which we developed our own hub, because we wanted both – fixed and freewheel belt drive options. The result is a high flange flip-flop hub to mount our hybrid sprocket on the fixed-side (6-hole Shimano 9-Spline), or a classically threaded freewheel developed by Gates and White Industries on the opposite side. And of course, we remembered to align the belt to run perfectly straight with our Schindelhauer CNC cranks. 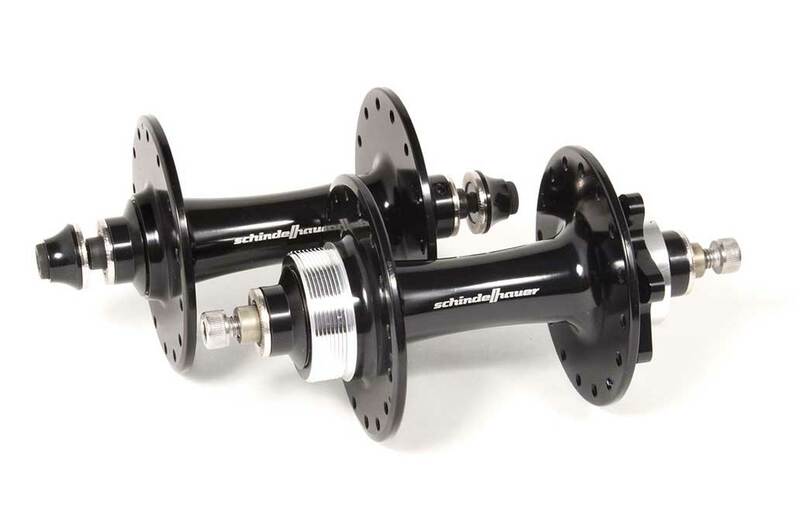 This 120 mm rear hub comes with double-sealed cartridge bearings for smooth running durability. 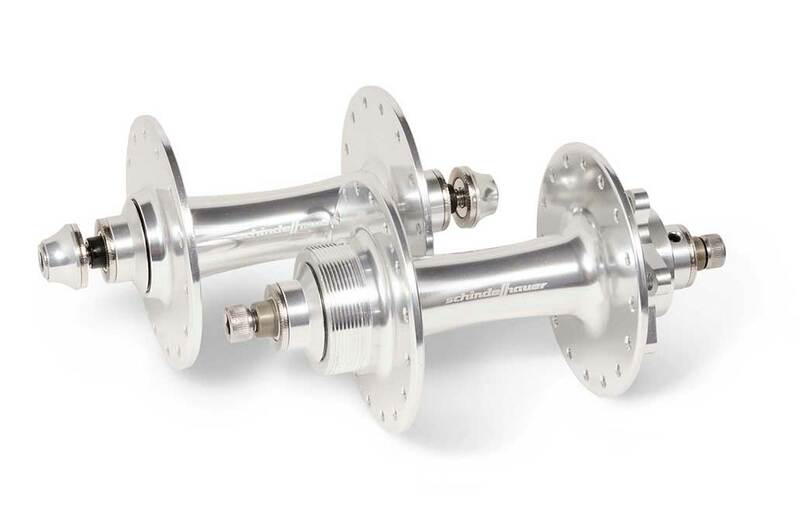 28- and 32-hole versions are available, each in silver and black, as are matching front hubs.